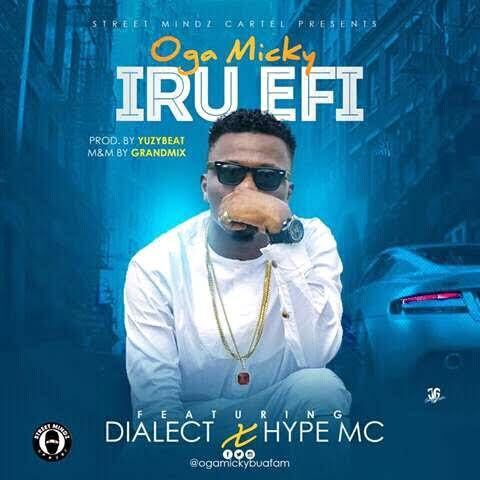 A month after dropping ‘PUTCALL VIDEO’ Fast rising artist from the southeast ‘OGA MICKY’ a.k.a ‘WAVY’ is back with a statement that its really his year. This time around, he employs the professionalism of ‘DIALECT&HYPE MC’ to deliver this mind blowing Jam ‘IRU EFI’ which is set to top your playlist and get you dancing. The Song was produced by Southeast based fast rising producer ‘YUZY BEAT’ and was mixed and mastered by ‘GRANDMIX’ Download and enjoy..